DānXiá Shān is a world famous UNESCO World Heritage Site Geo-Park. The area comprises a reddish sandstone which has been eroded over the years into a series of outcrops with spectacular cliffs and unusual rock formations. There are a number of temples in the mountains and many scenic paths. FuYiJiang River winds through the mountains and boat trips are possible. Tiger Leaping Gorge in YunNan province lies 60 kilometers north of LiJiang. It is part of the UNESCO 'Three Parallel Rivers of Yunnan' World Heritage Site. The gorge is one of the world's deepest canyons and is populated by a few villages of the NaXi minority. 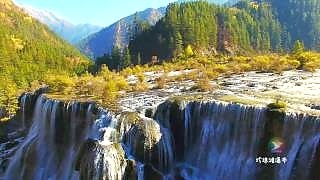 Around 15 km in length, the gorge is located where the river passes between 5,600 meter high Jade Dragon Snow Mountain and the 5,400 meter high HaBa Snow Mountain in a series of rapids below steep 2000 meter cliffs. Legend says that in order to escape from a hunter, a tiger jumped across the river at its narrowest point (still 25 meters wide, though with a rock in the middle). There are a fair number of basic guesthouses for hikers, so your visit does not need to be rushed. These can also provide meals or snacks to passers by. Hiking the entire length of the gorge is possible. There are two paths. The 'the high road' is well-maintained by the locals and marked, although sometimes narrow, and is used by the Naxi as part of everyday life. This trail is longer than the lower road, approximately 22 kilometers (14 miles), but more varied. 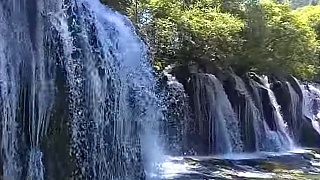 It features a variety of micro-ecosystems and waterfalls, and is probably the best choice if you only take one of the paths. The 'low road' is a stretch of pavement (until recently a simple mule track) crossed by several waterfalls. This path more closely follows the Yangtze, so there are more views of the river and a stronger sense of being in a gorge. Where the high road descends to meet the lower road, one can climb down to the river near the Tiger Leaping Stone, the point at which the tiger is said to have leaped across in two bounds. That the gorge is outstandingly beautiful is coupled with the need for care. The environment is natural and so the almost absence of safety clutter puts the responsibility on the those visiting. Rockfalls are not unknown. Prepare for wet weather, which can arrive suddenly, and use suitable shoes. Take extra care when crossing wet rocks and in general don't take risks; think first. Don't go alone in case of accident. Take a mobile phone. Swimming and kayaking are extremely dangerous and must be avoided. Don't go off track; take a map (essential). Head back to your lodgings well before dusk as, being within a gorge, light fades quickly. HuangShan is well known for its beautiful scenery, sunsets and sunrises, unusually shaped granite peaks, ancient pine trees, hot springs, winter snow, and views of the clouds from above. Some of the peaks rise more than 1,800 meters (6,000 feet). 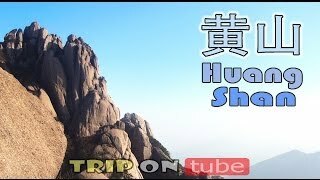 HuangShan is a frequent subject in traditional Chinese paintings and literature. 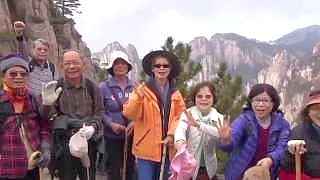 HuangShan is a UNESCO World Heritage Site, and one of China's most popular tourist destinations. The HuangShan area is also noted for Chinese teas of high quality. HóngCūn is a well preserved 800 year old village in southern AnHui province, near the southwest slope of Mount HuangShan. 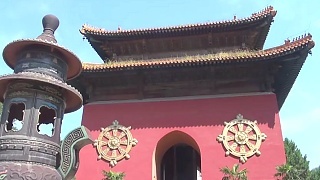 The first Buddhist temple in China was constructed here in SiChuan province in the 1st century A.D. 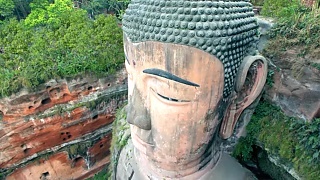 The addition of other temples has turned Éméi Shān into one of Buddhism's holiest sites and is one of the four sacred Buddhist mountains of China. 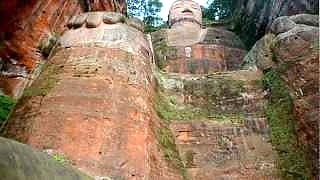 All in all, there are now seventy six Buddhist temples and monasteries, most of them located near the mountain top. 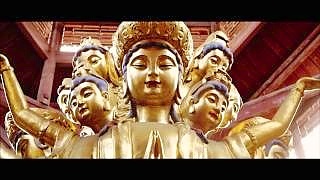 The first two films focus on the most well-known - the Golden Summit and the 48 meters tall statue of Samantabhadra, known in Mandarin as PǔXián PúSà 普賢菩薩. HuangLong ('Yellow Dragon' - the appearance of the pools along HuangLong Valley) lies 150 kilometers (93 miles) north-northwest of the provincial capital ChengDu. All in all, it covers an area of almost 2,000 square kilometers. This area is known for its colorful pools formed by calcite deposits, as well as diverse forest eco-systems, snow-capped mountain peaks, waterfalls and hot springs. There are also a number of temples. HuangLong is also home to the Giant Panda. A beautiful film of the scenic area around ÉMéiShān and LèShān Dàfó, SìChuān province. 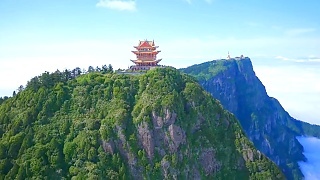 Mount EMei is one of the Four Sacred Buddhist Mountains of China on which there are nearly 70 Buddhist monasteries. 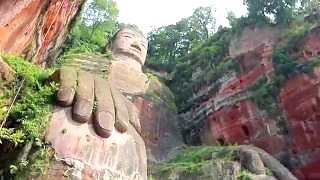 At 71 meters (233 feet) in height, LeShan Giant Buddha is the largest stone Buddha in the world. Filmed during two days hiking in the Tiger Leaping Gorge. At a maximum depth of approximately 3790 meters, from the YangTze River to mountain peak, Tiger Leaping Gorge is one of the deepest and most spectacular river canyons in the world. 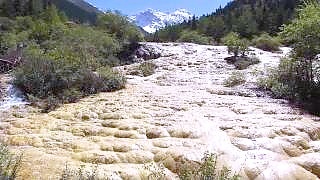 Tiger Leaping Gorge lies between Jade Dragon Snow Mountain and HaBa Snow Mountain. 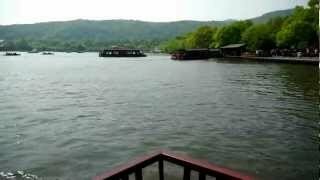 It is part of the Three Parallel Rivers of Yunnan Protected Areas UNESCO World Heritage Site. Step back in time in the ancient village of HongCun, 宏村. HongCun is located near the south west slope of Mount HuangShan. The architecture and carvings of the approximately 150 residences dating back from the Ming and Qing dynasties are said to be among the best in China. One of the largest residences open to visitors, ChenZhi Hall, also contains a small museum. 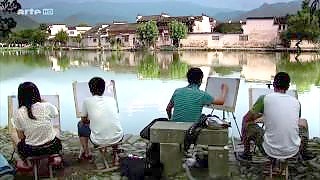 Together with XiDi, the village is a UNESCO World Heritage Site. 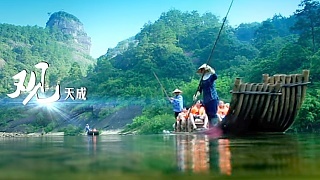 Some scenes from the movie 'Crouching Tiger, Hidden Dragon' were filmed on location in HongCun. 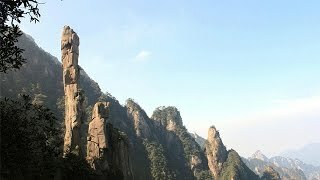 HuangShan (Yellow Mountain) is a group of mountains in AnHui province, east China. Famous for its rugged peaks, unusual rocks and tenacious pine trees, this beautiful landscape is a UNESCO World Heritage Site. Yellow Mountain, 黄山, in AnHui province, between ShangHai and WuHan, is one of China's most popular travel destinations. An area of outstanding natural beauty, it is a UNESCO World Heritage Site. 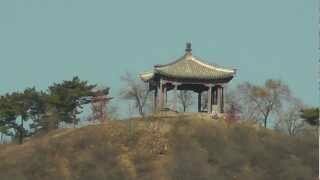 The Ming Tombs are a collection of mausoleums built by emperors of the Ming dynasty. 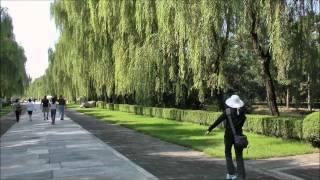 They lie within the ChangPing District of BeiJing Municipality, 40 kilometers (25 miles) north-northwest of Beijing city center. 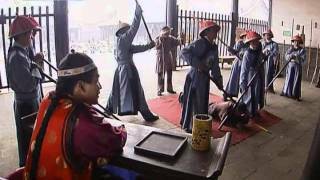 The site was chosen based on the principles of Feng Shui by the third Ming emperor, YongLe. Construction began after completion of the Imperial Palace (Forbidden City) in 1420. Subsequent emperors placed their tombs in the same valley; 13 in total. The siting of the Ming dynasty imperial tombs was carefully chosen according to Feng Shui principles. A key guide is that bad spirits and cold winds from the north must be deflected; therefore, an arc-shaped valley area at the foot of the JunDu Mountains was selected. This 40 square kilometer area, enclosed by mountains in a pristine, quiet valley with dark earth and tranquil water became the necropolis of the Ming dynasty. A 7 kilometer (4 mile) path named the Spirit Way, or Sacred Way, leads into the complex, lined with statues of guardian animals and officials, with a front memorial gate consisting of three arches called the Great Red Gate; constructed in 1540, it is one of the biggest stone archways in China. Further in, lies the ShenGong ShengDe Stele Pavilion with a 50 tonne stone statue of BiXi carrying a memorial tablet. Four white marble HuaBiao (pillars of glory) are positioned at each corner of the pavilion; at the top of each is a mythical beast. Then come two pillars on each side of the path, whose surfaces are carved with a cloud design, and tops are shaped like a cylinder; these are of a traditional design and were originally beacons to guide the soul of the deceased, The path leads to 18 pairs of stone statues of mythical animals, which are all sculpted from single blocks; these are all larger than life size. 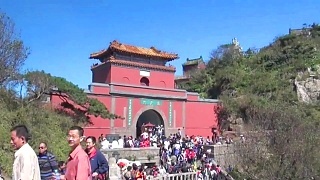 After, the path leads to a three-arched gate known as the Dragon and Phoenix Gate. Two of the mausoleums are open to visitors, but it is the beauty of the valley, with orchards, and the sheer scale of the area used for the tombs, that make this a nice day out in the countryside. The ancient town of LiJiang, in YunNan province, is a UNESCO World Heritage Site, with over 800 years of history. It was an important hub of the South Silk Road, along which many items were traded, including tea. It is home to the NaXi ethnic minority. LiJiang has lots of boutique hotels and cosy hostels in traditional architecture. The town, with its cobbled streets, streams and bridges, features many crafts (embroidery, silverware, drums and more) plus a wide variety of street snacks and restaurants. Surrounded by mountains on three sides, ChengDe in HeBei province, about 3 hours north east of Beijing, was a summer retreat for Ming emperor KangXi and also assocaited with emperors YongZheng and QianLong. Now a UNESCO World Heritage site, it features numerous scenic spots and is a great long weekend break. It is centered on the largest imperial park in China, with a surrounding wall of over 10km, which is a great hike. 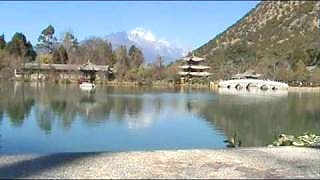 Within lie lakes and pagodas; beyond are eight temples in various architectural styles. The park lies to the west of China's largest freshwater lake, PoYang Lake. The national park covers an area of around 500 square kilometers (about 320 square miles) with more than 90 mountain peaks. The tallest, HanYang Peak, soars to a height of 1475 meters (4,850 feet). LuShan National Park owes its reputation to its varied and spectacular features that embraces ravines, waterfalls, grottoes, rocks and streams. There are 12 main scenic areas, including 37 attractions. The Putuo ZongCheng Temple in ChengDe, HeBei province, is a Qing dynasty Buddhist temple. The complex was constructed between 1767 and 1771 during the reign of emperor QianLong (1735–1796). 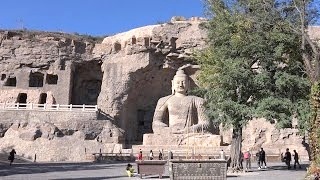 It is located just north of the ChengDe Mountain Resort. Along with the equally famed Puning Temple, it is one of the Eight Outer Temples of ChengDe (a UNESCO World Heritage Site). The temple was modeled after the Potala Palace in Tibet. The temple complex covers a surface area of some 220,000 square meters, making it one of the largest in China. The Mountain Resort in ChengDe 避暑山庄 (BìShǔ ShānZhuāng literally means "Mountain Villa for Avoiding the Heat") was an imperial get-away. Built between 1703 and 1792 during the Qing dynasty, the vast Mountain Resort covers a total area of 5.6 square kilometers (2.2 square miles) and is surrounded by a mini 'Great Wall', which one can walk. It contains a variety of gardens, pagodas, temples and palaces representing the styles from various regions of China. Mount Tai is one of China's Five Sacred Mountains and has been a place of worship for at least 3,000 years. Mount Tai (or TaiShan, though there is a city called TaiShan in GuangDong - a different place) is a mountain of both historical and cultural significance which is located north of the city of Tai'An in ShanDong province. The tallest peak is the Jade Emperor Peak which reaches a height of 1,533 meters (just over 5,000 ft). In total, there are 22 temples, 100 ruins, 820 stone tablets, and over 1,000 cliff-face and rock inscriptions, including the Wordless Stela that stands in front of the Jade Emperor Temple. Legend tells that the emperor who commissioned the stela was dissatisfied with the planned inscription and decided to leave it blank. It is a UNESCO World Heritage Site. A documentary by CCTV. A UNESCO World Heritage Site. With CCTV's Travelogue The ancient city wall and Ming and Qing architecture in the old part of the city of PingYao are a UNESCO World Heritage Site. PingYao lies about 700 kilometers south west of Beijing and 80 kilometers from TaiYuan, the provincial capital. The Summer Palace is the largest and best-preserved imperial garden in China. 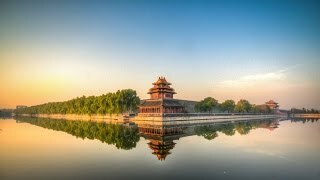 As its name suggests, the Summer Palace was used as a summer residence by China's imperial rulers - as a retreat from the main imperial palace now known as the Palace Museum (or 'Forbidden City') - a pleasure-ground in the countryside, yet near to the city. In 1860, as part of the 'Opium Wars', the Anglo-French Allied Forces invaded Beijing and set fire to many of the buildings within the original Summer Palace (YuanMingYuan). In 1888, Dowager Empress CiXi, with funds embezzled from the Imperial Navy, restored the grand gardens. The reconstruction and enlargement of the Summer Palace continued for ten years. After completion, she renamed the gardens 'YiHeYuan' ('Garden of Peace and Harmony'). The Empress Dowager CiXi moved her administration to the renovated YiHeYuan in 1889 and the gardens here that had long been an imperial pleasure-ground became the primary Summer Palace. 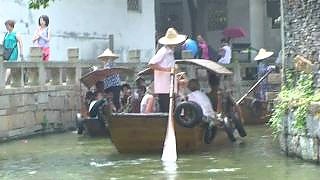 Then, shortly after, the eight allied powers invaded in 1900 during the Boxer Rebellion to plunder and destroy the newly reconstructed New Summer Palace. Only when the fugitive CiXi returned to Beijing in 1903, did full-scale restoration begin. In this way, the Summer Palaces - both old and new - are associated in popular culture with the destructive interference of foreign powers. Today's Summer Palace is more or less the same as the palace rebuilt from 1903. It was designated a World Heritage site by UNESCO in 1990. After the success of the 1911 Revolution, the Summer Palace was opened to the public. Then, after the last Qing Emperor PuYi was thrown out of the Palaces in 1924, the Summer Palace was turned into a park. 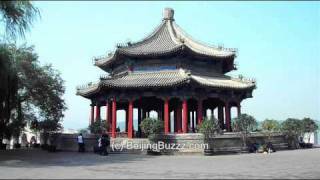 The Summer Palace has become a popular and relaxing destination for both domestic and international tourists. 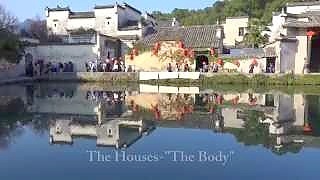 The Summer Palace is virtually a museum of traditional Chinese gardening that uses rocks, plants, pavilions, ponds, cobble paths and other garden styles to create a poetic effect between different scenes. The halls, pavilions, bridges and temples, Kunming Lake and Longevity Hill, all blend together harmoniously despite their individual styles. Ingeniously conceived and elaborately designed, the Summer Palace, featuring the garden styles of both northern and southern China, is justifiably known as the 'Garden of Gardens'. Indeed, the Summer Palace represents a quintessentially Chinese ideal of harmony between man and nature. Don't miss : the beautiful Garden of Harmonious Interests (a 'garden within a garden'), SuZhou Street and the Four Great Regions Tibetan-style temple, and the Tower of Buddhist Incense and Cloud Dispelling Hall on the hill. The nearest subway station is BeiGongMen ('North Palace Gate') on line 4. The magnificent Temple of Heaven (TianTan) was constructed between 1406 and 1420 (Ming dynasty) during the reign of the emperor YongLe who also oversaw the construction of the Forbidden City.The Temple of Heaven was where emperors of the Ming and Qing dynasties would offer sacrifices to heaven and pray for good harvests. The temple complex was extended during the reign of emperor JiaJing during the 16th century (Ming dynasty). JiaJing also constructed three other key temples in Beijing : the Temple of the Sun in the east, the Temple of the Moon in the west, and the Temple of Earth in the north. Emperor QianLong directed a renovation of the Temple of Heaven during the 18th century (Qing dynasty). The architecture and layout of the Temple of Heaven is based on elaborate symbolism and numerology. 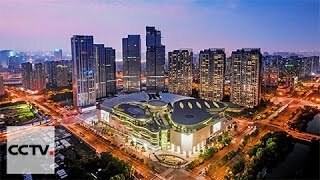 One example is that the buildings and their settings reflect ancient Chinese religious beliefs that imagine heaven as round and earth as square. Because the Temple of Heaven was to be the place representing Heaven on Earth, it needed to be larger than the Forbidden City; it covers approximately twice the area and is about 2 kilometers from north to south, the primary axis with three main structures; indeed, it is the largest group of constructions for worship in the world. In 1998, the Temple of Heaven was added to the UNESCO World Heritage List. In early 2005, the Temple of Heaven underwent a 47 million yuan (6 million USD) renovation that was completed on May 1st, 2006. The Temple of Heaven is a delightful place to spend some time. Arrive in the early morning to watch the Tai Chi experts, although the park is lively all day and into the evening with kite flyers, musicians, singers, dancers and games players (from badminton to Chinese chess). Filmed in February 2010. 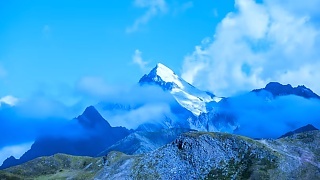 The peak of the mountain range is 5,600 meters. 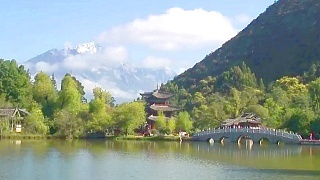 The view of the mountains from the gardens at the Black Dragon Pool (HeiLong Tan) in LiJiang is regarded as one of China's finest. 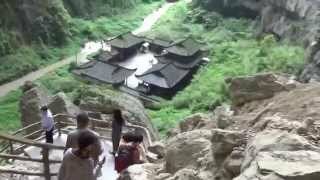 On the far side of the mountains lies Tiger Leaping Gorge (HuTiao Xia). LiJiang is a city with nearly 1.5 million inhabitants, yet LiJiang Old Town has the architecture and atmosphere of times past; indeed, it is a UNESCO World Heritage site. The Old Town, with its waterways and ornamental bridges, dates back over 800 years. A UNESCO World Heritage Site. 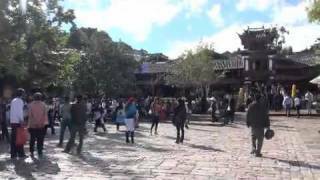 LiJiang old town is one of the best preserved in China and is home to the Naxi minority. 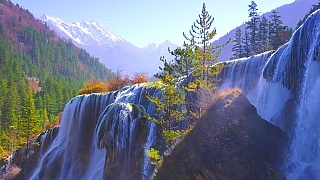 Nearby attractions include the Jade Dragon Snow Mountain and Lugu Lake.